Cable broadband and TV operator Virgin Media UK are for a limited time offering their VIVID 108Mbps ultrafast broadband and phone package at just £29 per month for the first 12 months of service (£47 per month thereafter) to new customers, but this promotion is only available to order until 30th September 2018. As usual customers will also receive a Hub 3.0 (SuperHub v3) wireless router, average download speeds of 108Mbps, average upload speeds of 6Mbps, 12 month contract, unlimited usage, access to Virgin’s WiFi hotspots, internet security / parental controls, free UK weekend phone calls and email (inc. free voicemail and caller display). The activation / install fee is also free. The promotion is an online affiliate exclusive and so it won’t appear directly on their website, but you can get it by following this link and starting the availability check / order process from there. I am with VM and out of contract. Would they let me take this deal? Often ISPs can be a bit sly and won’t allow existing customers, even those out of contract, to benefit from the latest offers / discounts for new subscribers. There are exceptions, like at TalkTalk, but I don’t think Virgin Media do this automatically. Sadly the above deal is online-only so you can’t haggle for it with the retention department via phone either. Did you following the link in the article? – That brings it up at £29/month. Dammit Phil why don’t you just use 1 name? We know you as Max – Just use Max! It’s rarely a good thing when people try and anonymous themselves by using different names, be it on different forums or the same ones. It usually fails, too, as we all have our tells. So I am just open and try and watch my mouth instead. Mostly successfully but no-one’s perfect. Typical.there putting my monthly package up £3. And I’ve been a custermer since it was ntl.when are you going to start looking after loyal custermers . Not happy . What about some discount for customers who have been with you from the start. Customers who lost a whole night of TV and internet and three weeks of free view. Customers who stick with you even though none of these amazing offer’s don’t come there way. It’s called loyally. When I rang about loosing a whole night of viewing and internet I was told we’ll knock £3 off your next bill. GREAT. Listen to yourself. If they know you’ll stick with them no matter what, then why on earth would they give you the best deal? They’ll make their proof off of you, instead of the customers they have to fight to win. Loyalty just means getting the worst deal. Been with you since you were Telewest, all i have ever got is rising bills, infact just been told of another £3 hike in november. Shame on you Virgin for not looking aftef the customers that you have. Time to leave i think. Even third world countries have better service than virgin…ONLY FOOLS WILL SIGN UP WITH VIRGIN….DO NOT GO WITH THESE IDIOTS…. But hey at least they are bulshitters that can construct a full grammatical sentence. As usual Virgin Media never offer any reduction to existing customers. – provide a substandard service – say they have put credits on the account then send emails demanding money and late payment fees. Over 3 hours worth of phone calls over a 10 week period – more than a dozen requests for a manager call back but never received one call. Do not use Virgin Media – OFCOM should investigate then. It says it is an affiliate link – so yes, they get paid if you sign up. If you do not like the sites content, or that it wants to offer its readership special offers, or that the site may generate some deserved income by doing so. Then all i can say is do not let the door hit you on the way out. 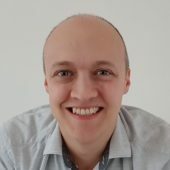 People may think they are getting a bargain but most will probably soon get fed up with the unreliable service with constant disconnections and very poor customer service. I’ve been with Virgin for about 4 years and the last couple of months have been terrible and now I’m told I must pay more. I’m giving them 30 days notice on Monday and am going back to BT. And the fact they will also get price rises during that year. Its good to have a futile immagination though. They can (and anyone else stupid enough to follow and believe them) look forward to not only the September price increase from BT, but your price going up during your contract and at the end of the contract going up around another 30-50% to around the £50-60 mark. BT cheaper? Quite possibly one of the funniest things ever claimed on here. Help you just tell you what you allready know ! Yes, i asked them for the new Usain Bolt outfit and they did not have it in my size. Did the same happen to you? The Costume department is indeed terrible. Not as terrible as someone that spams a news item though. I am with virgin media,have been for over 20 years so should I not get a discount after being so loyal.as soon as my contract is up I will be leaving , VM are a crap company with no loyalty to customers.when theres a problem you have to speaker to recordings on the phone,so you don’t get the problem sorted .I’ve had enough ,sick and tired of excuses by VM when eventually get to talk to a human . 20 years and your contract is not up, really? I agree with all the negative comments been with vm 18yrs used to be good NOT anymore, just want to rip you off, don’t even bother to tell you ! 18 years of terrible service no wonder you stayed. I think we are funding his formula1 cars!I have been with them for 30yrs and noticed the price hikes got larger & more frequent when he got into F1. I’ve finally had enough & leaving next week! 2. There is no Virgin Formula One cars or team and has not been since 2011 and when it was around the majority share ownership was Marussia Motors, Manor Motorsport and Wirth Research. Virgin was just a shareholder. The Forumla E team which you may be thinking of is a joint venture with Citreon, who obviously (at least to the non stupid) are the people behind everything that makes that car go while The owners of the team are the Virgin GROUP NOT Virgin Media. 3. Thus your comments as usual (same poor English, different name) are as always garbage. Thanks Dean,is that of Oxford or Cambridge or did you just Google it? It’s still when the frequent & big rises began. 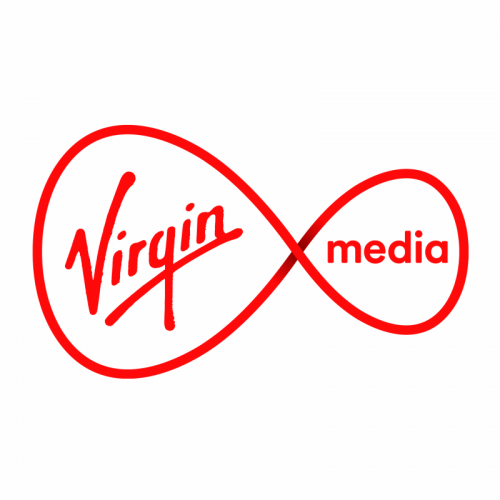 If you actually paid attention to many of the Virgin Media news items on this site you would know Liberty Global are the owners, because more than a considerable number of the news items actually indirectly mention it. and use your browsers find function (i assume you do know how to do that) for the term “liberty global”. Or better yet just start to pay attention. Virgin Media are not part of the Virgin Group. If you think “big” price rises started all the way back around 2011, then i guess even though that is not true you are more dim than you first appear to have stuck around for a further 7+ years before deciding to leave over costs. Oh and no i did not need google to reach that conclusion either. I will assume if he did google it that means he has the sense to find out the facts first before typing nonsense, works wonders maybe you should try it.